The best time to visit Iceland? There are several time slots that may be perfect for road trips in Iceland, and those are either early- or late summer and early- or late winter. During those times, you can see all the points of interest along the ring road in Iceland easily and enjoy a good trip. You will also get the season’s typical character, like long days during summer time, the many flowers that bloom and the green moss growing on the lava fields. In winter, you get the short days with less sunlight and snow. Iceland in winter is something really special. You ditch the high season though and by that, you gain a little bit more loneliness along the road. You might not have the best sights to yourself, but you can avoid waiting in line here and there and enjoy the areas a lot less stressed. You also avoid the extremes and especially in winter, that can actually save you a lot of hassle and can be the main reason if your journey is one for the book or one to forget. Many roads are completely closed off in winter and some sights are hard to reach. No matter what season you’re here for your road trip, you should always get the right rental car and be familiar with what the country might have in stock for you. In summer time, almost any car will do: I have crossed the country in a tiny Chevrolet Spark and it worked out quite nice. Unless you want to go to the highlands and the infamous F-Roads up there: That’s when you need to switch to a proper 4×4 vehicle and spend a few more dollars on comfort and safety. The same goes for winter time: I would not recommend going on a proper road trip without a 4×4 during full winter. Yes, you might get lucky and make it through the wilderness without any problems but the likelihood of that is actually pretty low. Especially in the coastal areas and in the north, you will likely see lots of snow and strong winds and both of them at the same time just don’t work out well for you! 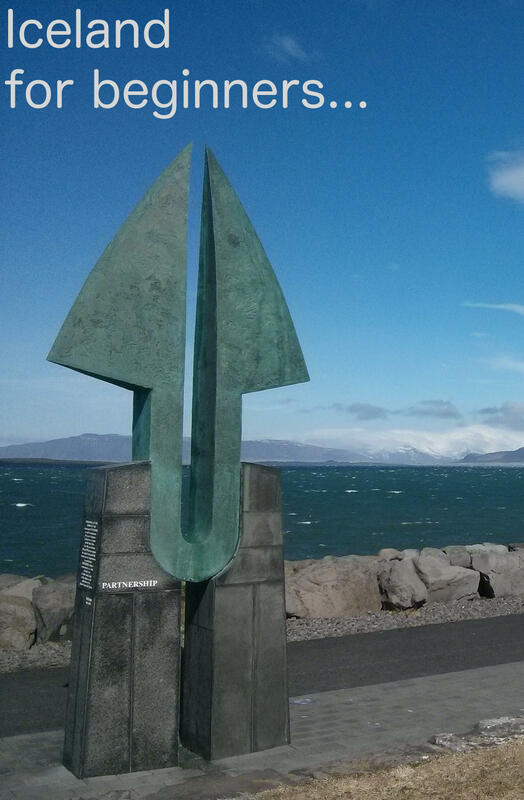 If you want to stay in Reykjavík, then you can basically come all year round, no problem! Icelanders are well prepared for even the toughest weather and will get you from the airport to the city, safe and sound. Once you’re there, there is plenty to do and see and you can usually do it by foot or bus. The are lots and lots of day tours that depart from Reykjavík and the tour providers are well equipped and professionals. Especially in winter this is the safest option for you to explore the region around the capital. You can enjoy Reykjavík in summertime as well of course and there are so many things to explore within the city. Depending how long you stay, there might be more opportunities than you have time. If you have more time, I would strongly recommend to get a car and drive around a bit yourself as it’s safe and fun in summer time. Plus you get to set the schedule and stops of your trip! If I had to pick one month here, it would be June as this is the month with the highest probability of great weather. This is kind of easy, because you have to come during winter time. But to be more precise: Come between October and March. During that time, the aurora is most active. Unfortunately, so are the clouds so even if the northern lights in Iceland are dancing, you might not see them behind the clouds sometimes. Apart from the timing, my number one tipp here is: Be humble and dial down the expectations! Lots of site on the internet, like Instagram, give the impression of constant dramatic northern lights every day of the season in winter: Not reality! I spent a total of 30 days in Iceland before I saw them the first time. Plus they looked nothing like the pictures and videos! If your main reason is to see northern lights, bring lots of time and flexibility. While t clouds may cover them where you are, maybe 5km south of you the sky is clear and you can watch the show. The best time for whale watching is during summer, because the chubbies love to hang out near the surface when the sun is shining! March to October ist a good timeframe, June/July probably your best pick. More important than the exact timing is the place though: You can go for whale watching tours in Reykjavík, in Akureyri or Husavik (and some more places of course). I think it is really important to do this kind of activity in a very sustainable way and thus I opted for Husavik which has a company that provides tours off of large sailboats that do not disturb the animals too much. In the Northern parts of Iceland, you can generally see more whales and the bigger ones like to hang out here a bit more than in the south too. Then again, the likelihood of seeing Orcas is higher around the Reykjavík region apparently. Keep in mind, that there is no schedule for whales: They don’t wake up in the morning thinking: Oh man, I gotta be in Reykjavík for John and Sue around 8.30am! If you’re really keen to see whales, schedule your tour at the beginning of the trip as many tour providers offer a free second trip if there were no sightings on a tour. Let’s talk best travel time for Iceland in general. We will guide you through all the twelve months of a year and give you a bit of an insight of what to expect and how to plan your travels accordingly. Hopefully this gives you a bit of help planing your journey to Iceland! Spring in Iceland is about the fading winter, longer days and more sun. It is the perfect time to get to know Iceland! Around March, winter usually loosens the grip and lets go which means the snow stays on the sidelines of roads. The days get longer, you have more sunlight and it slowly gets warmer too. March itself is still pretty much a tough one, temperature range around 10°C (50°F) and so I wouldn’t really recommend it as a great time for traveling Iceland. So here we are: May. My favorite month to travel around Iceland. Temperatures get to nice levels, the days are long enough but not endless and the weather is usually pretty nice. Most tours operate fully by now, some highland roads might even be open already (unlikely though) and you get so see the best sights in Iceland with little to no people: This is pretty much as off-season as it gets in Iceland without going to extremes. Summer is when most people come to Iceland and not without a reason: This time of the year is magical and you get to see the best that Iceland has to offer. Especially in regards to light and taking pictures, summer is an amazing time to be here! June is the first month that usually properly classifies as summer because the sun gets out, the days get long and warm and it rains less. Flowers are in bloom and puffins start to hatch. The warmest month of the year in Iceland: July. Temperatures go as high as 25°C (77°F) and you get the longest days of the year. Sometimes the sun does not go down for more than 4 hours. But most importantly: July is the month with the least rain which makes it perfect for camping trips and outdoor adventures. August is the highlight of summer in Iceland and usually a great time for all kinds of outdoor activities too. The days are still long and so you get to make the most of your time. It is also the high season, so you need to book everything in advance. Especially hotels and popular tours like Jökulsarlon and the Golden Circle will likely be booked out weeks in advance. Is autumn still a good time to travel Iceland? Well, it is certainly a rough time: You will see lots of water, coming down on you. It rains most during this season and with rain come storms. It is not the best time for outdoor activities and you really, really want to bring proper rain coats (umbrellas will not help). September is when days start to get shorter again, there is less sun, more rain and usually a lot of wind. Chances to see the northern lights start to go up now. Sometimes, September ist the best month to see them in fact. If you want to have a bit more predictable weather: October is a great time for you. Chances to see northern lights go up. The likelihood of snow as well. If you want to have the country as much to yourself as you can: October is your month! You will see the least amount of tourists here now, compared to any other time of the year. November is when winter fully takes over. Snow starts falling, sometimes in storms and you get snowed in overnight here and there. This is when driving can get dangerous as well: If you’re not used to drive in snowy conditions, opt for guided tours instead of self driven ones. The coldest time of the year, still the most magical in certain ways: Winter in Iceland is probably pretty much like you imagine it: Lots of snow, freezing cold and dark. And yes: In reality it can be even more intense than you would imagine. You don’t want to be out in the wild if you’re not familiar with these conditions and you don’t want to drive a car if you’re not used to driving in snow. People keep underestimating the winter in Iceland which can lead to extremely dangerous situations. Have a look at Safetravel.is for more information. December is when winter flexes it’s muscles: Even in Reykjavík the going gets tough now: A lot of snow and only little sparks of sunlight. Due to clouds, you will see less than an hour of sunlight on some days. The aurora is in full swing and you have high chances of seeing a green-lit sky. January is the coldest month of the year in Iceland and that is also the reason why very, very little tourism goes on. You will have some places all to yourself probably, but you’ll have to live with temperates as low as –20°C or even less. The perfect time to go for an ice caving tour though. In February, winter usually keeps a tight grip: Many underestimate this month because in other parts of the world it’s when spring slowly starts. Not so in Iceland, you usually have the same snow storms, short days and tough weather as the weeks before. Some tour operators start whaling tours from Reykjavík, which I wouldn’t recommend. I’d rather look out for deg sledding tours or lava caving. Again: May! I love that month so much. But all kidding aside: No matter when you come here, come again at the opposite side of the calendar. You really have to see Iceland both in winter and in summer, with and without snow. I recommend to come in summer first and then again in winter. I also recommend to come for a short visit in winter at first because people tend to underestimate it so much. No matter when you come: Be prepared. Bring the right clothing, rent the proper car for the season in Iceland and be humble about your expectations. Iceland is like a wild animal: Be grateful if you get to see it and don’t expect it to do anything you want it to do. That makes you appreciate even more whatever you get.